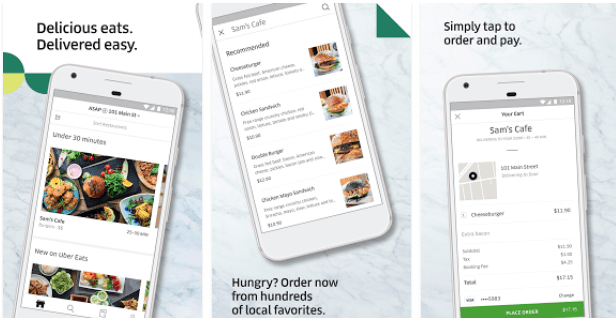 ﻿ How These 6 Features Make UberEats a Successful Food Delivery App? For being a trendsetter, you need to follow the latest trends which can optimize your business. One such thing that contributes to business development is app development. Building an app has become a key to win a higher number of customers. Today, Android and iOS are commonly used platforms to develop mobile apps and develop your brand proposition. 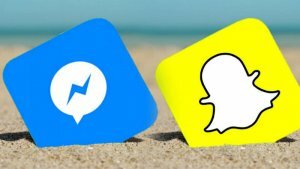 Apps are creating buzz by spawning every industry with their user-engaging features. The significant impact is seen in the food industry. When it comes to the food industry, UberEats app is worth mentioning. Uber has recently launched UberEats app, which gives a push to the industry while widening its scope as compared to traditional on-site order. You get innumerable options on a single click and get your food from almost any restaurant. 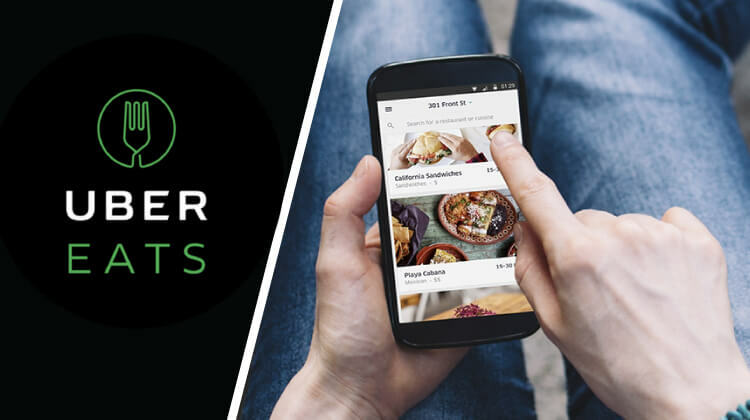 Beginning with 1000 restaurants in four cities, now UberEats has partnered with more than 40000 restaurants in all the major cities across the world. It’s advanced features allow you to track, where your order has reached and how much time it will take for delivery. Both Android and iOS users can use this app as it is available on app store and Play store respectively. Its technology-driven features have gained it about 5 million downloads globally. 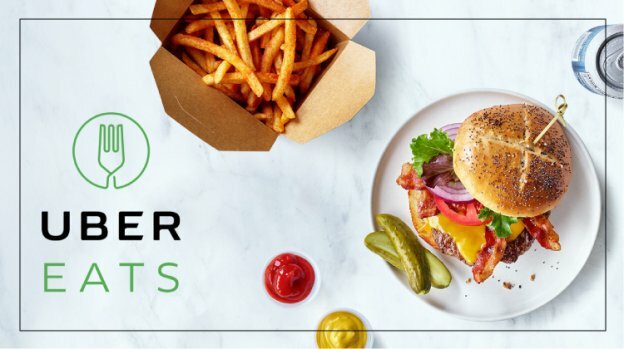 According to the latest report from sensortower.com, UberEats was the most downloaded food delivery mobile app in 2018. People are now spending more on Uber Eats than on any other on-demand food delivery service in nine of the 22 most-populous U.S. cities. Most developers are curious to understand what makes UberEats different from its competitors. To get to the bottom of it, they train themselves by enrolling themselves in an Android training to dig deeper into UberEats’ features. This post describes how UberEats app is pushing the boundaries of the online food world with its advanced features. Everyone knows that AI is driving mobile apps personalization. UberEats has the front row seat in this innovation. With UberEats app, foodies can watch out for photos of a meal before they order. Moreover, its suggestion carousels recommend a number of nearby restaurants to your location you can order food from. Taking advantage of machine learning, UberEats enables taste preferences by suggesting cuisines according to past histories and existing contextual information. Therefore, users get customized choices of food from different restaurants at the push of a button. If you run out of your time and want to get food on time, go for Uber Eats. It allows you pre-book order about an hour and even a week in advance. Moreover, you can track your order throughout the process of delivery to ensure that you receive it at your desired location. When a restaurant gets online ordering in bulk, UberEats app helps you deliver as per the order on time and hassle-free. Uber has rolled out a new analytics app, restaurant manager, which helps make data-driven decisions. With this tool, UberEats partners get access to data and insights with which you can finetune your food quality and delivery strategy and optimize user satisfaction. When ordering food, a general concern that users have is if their location is eligible for delivery. This is especially true for places like hospitals and parks. Uber has taken care of it, as UberEats app delivers at places like hospitals, parks, homes, offices, etc. Moreover, you can even specify the way you would want food delivery. UberEats app is all about easy exploring. Developers have designed its infrastructure in a user-friendly way. For example, if a user looks for gluten-free options, then he/she gets the results according to the search. You even get complete information about a dish which includes ingredients, average preparation time, etc. The sixth feature that you can consider while developing a food delivery app like FoodPanda and UberEats is push notification that is considered as the most important to make your app. If you use it in the right manner, the feature can make your food delivery business app apart from other apps. Through this feature, you can send alerts to your users related to order, delivery, offers and discount codes. Moreover, it would be better to ask your customers about the notifications like in which way they want alerts like SMS, Email, and Push Notification. Developing an app like UberEats this requires reliable tech team and developers. 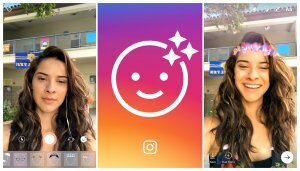 Displaying a unique idea requires an engaging interface with a great UI design. There are many other examples of food apps like GrubHub, Eat24, Caviar, DoorDash, Postmates, and Amazon Prime, but the success that UberEats has achieved in the short term is truly commendable. It has three simple steps – browses, order, track, and you are ready to go. With hundreds of restaurants available at your disposal, you just need to open your app and search for your favourite cuisine. After placing your order, you will see your address, estimated delivery time and the price. If everything sounds good to you, you can tap to place your order. UberEats has a robust tracking system which allows you to track your order till its delivery. Follow your order in the app. First, you’ll see the restaurant accept and start preparing. UberEats app, best food delivery service, has mobilized the food industry by giving it new dimensions just with a mobile app for food delivery. If you are in the developing phase, make sure your app has a great user interface, easy navigation and other latest features mentioned above. In case, if you have any query related to food delivery apps like UberEats or food delivery app development or food delivery app development cost, then you can consult a food delivery app development company who provide app-based food service solutions. Consulting our business representative and discussing uber like app idea is free, it won’t cost you a single penny. Our representative will figure out how a mobile app can help your business to grow at a faster pace and suggest you the right solution. Just fill out our contact us form and we will contact you with an optimal solution. This page was last edited on April 16th, 2019, at 8:15. 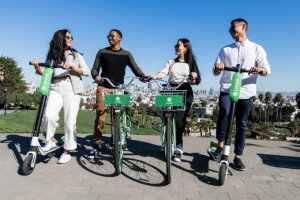 How Bird, a Santa Monica-based E-Scooter Startup, Simplified The Commute and Become “The Uber” of Electric Scooters With These 4 Powerful Features?